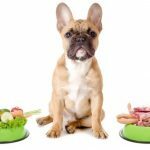 Which dog food is best? – This is a question many of us ask when shopping for our little ones. Finding the best food for our furry companions is one of the main concerns of most owners, especially new ones. Whether we’re looking for dry or wet food, there are simply too many options to choose from, and all the manufacturers advertise their products as being the best on the market. So, which is the best dog food on the market? Should we go for dry or wet? Should we prepare their food ourselves? Which option would be better for our friends? Let’s take a look at how each of these foods is produced and what they actually have to offer to find out the right answer to this question. 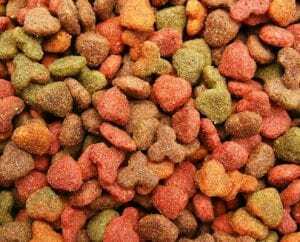 We’re going to start by presenting the dry dog food aka the kibble. This type of food is constantly growing in popularity as the population of dogs increases. 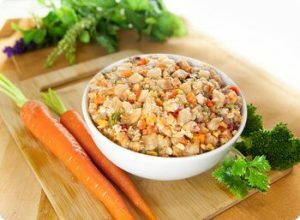 There are a lot of commercial dog foods available, and most owners choose this type of food because it’s easy to store, it can be stored for long periods of time, and it’s not too expensive. Now, not all the dry food on the market is the same. There are super-premium brands, basic-nutrition brands, private-label brands, and economy brands to choose from. The easiest way to differentiate between them is to check their price and their ingredients lists. As an unwritten rule, super-premium brands list their ingredients clearly, whereas economy brands use complicated terms in their attempt to lower the pet owners’ concern about their quality. First, corn kernels are ground and mixed with cereals such as barley, wheat, and rice. Steam cooks the mixture and then forces the foods through a mold at high pressure. The mold shapes the food according to the manufacturer’s preference and brand. The pieces exit the rolling band at room temperature and they enter a rolling drum. There, they are sprayed with fat and flavouring. The fat increases the food’s nutritional value while the flavouring gives it an appetising taste (for our dogs, at least). The food’s rotation ensures that it’s sprayed evenly. Then, the food goes in a storage silo, and from there it goes to the packaging area. Now, you might have noticed a few problems with this process. First of all, where is all the meat? Well, the sad fact is that most generic brands don’t use any meat in their manufacturing process. That’s why their food is usually the cheapest. While it’s true that this manufacturing process is only used by economy brands that people usually avoid, the process is not much different for more expensive brands. You can see the chicken is the first ingredient, which means that it has to be the main ingredient in the recipe. This means it will outweigh the other ingredients in the list. But the problem is that chicken meat (all types of meat, really) contains very much moisture. When the meat is dehydrated in the manufacturing process, not a lot of protein gets into the diet itself. Meat meal is better for this purpose, but we’ll get to that later. Now, you can see that the chicken by-product meal, which is the next protein source, is only the fourth ingredient. The pea starch and root flour will add up to the food’s nutritional value, but these are “empty calories”. They are not healthy, and they will not satisfy our dogs’ nutritional needs. And so we get to the chicken by-product meal. By-products have a bad reputation, but they’re not actually that bad. There are some valuable by-products, such as the chicken’s lungs, heart, spleen, or liver. Unfortunately, most dog food manufacturers don’t buy these by-products because they’re slightly more expensive than others. Instead, they buy the intestines, stomachs, and sometimes even expired meat if the local legislation allows them to. The next two ingredients are protein sources. You might be wondering why the manufacturer would use two types of protein in their recipe. Well, the reason is simple. They do it to achieve a marketing scheme called “ingredient splitting”. If the manufacturer would have used a single source of soy protein, we’re willing to bet that it would have outweighed the chicken meal, which would make you think twice about buying the product. Canola meal started off as livestock feed, but it’s totally edible and it might offer some health benefits even for humans (2). This is actually a good addition to the recipe, and it’s used as a fat source. The beef tallow is also added to the recipe as a fat source. However, unlike the canola meal, the beef tallow is considered a low-quality fat source. Beet pulp is a byproduct of the sugar beet. This pulp is low in sugar, but it’s high in energy and fibers, and it contains about 10% protein. Thing is, beet pulp started off as feed for horses, but you would have to soak it for up to three hours before using it. As you can imagine, nobody would let the kibble soak for three hours before giving it to his or her pets. And last but not least, we come to the poultry and pork digest. You might be wondering what this is. Well, the digest, according to the Food and Drug Administration, is a concentrated product intended as a natural flavoring. Not really explanative, is it? In truth, the digest is the product resulted from the hydrolysis of clean animal tissue that hasn’t undergone decomposition. So, in simple terms, all the tissues excepting hooves, teeth, feathers, horns, and hair can be used to produce the digest, as long as they’re not rotted. That doesn’t really sound appetizing, does it? One of the common misconceptions people have is that wet dog food is better than the dry one because it contains more meat. Well, unfortunately, that isn’t a rule, so nobody is respecting it. Just like the dry dog food market, the wet food market is also varied. You can find all sorts of products, from super-premium to economy ones. The differences between these types of wet foods are their ingredients and their price. Most manufacturers prepare their ingredients one day before the manufacturing process actually begins. The ingredient preparation usually implies dividing the meats in batches and storing them in a refrigerated room for the following day. Most manufacturers store a lot of meat in their freezers, so the meat will actually thaw in the refrigerated room. The next day, the meat will go into a machine that will grind it and cut it to suitable chunks. Now that the meat is prepared for processing, the gravy is prepared. The gravy often has a complex formula that requires flavours, colorants, vitamins, and minerals. Beside these ingredients, most manufacturers use gels, gums, and thickeners to increase the product’s viscosity and correct its consistency. There are two ways to continue from here. The first method is called chunk-in-loaf (CIL), and it’s mostly used by super-premium or premium brands. This method implies a mix of chunks of meat suspended in a solid or loose gel. All the ingredients are mixed until they have the desired consistency. When the consistency is achieved, the mix is discharged in its final container. The containers are sealed and branded. 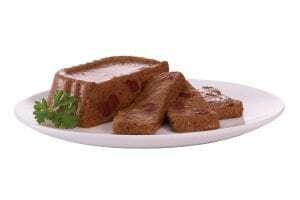 The second method is called chunk-in-gravy or chunk-in-jelly. This is the method most manufacturers use. The most important step in this manufacturing process (according to the manufacturers) is making the low-grade meats look good. This is achieved mainly in two ways, the heat-set chunk technology and the gel-setting. The gel-setting technology uses the combined action of a calcium salt and a sodium alginate to create a flexible structure that will not be affected by the cooking temperatures (if it’s tough enough not to be affected by boiling steam, it’s good enough to eat, right?). Next, the low-grade meat is added to the structure, and it goes into a mixer that mixes the two until the whole solution has the desired consistency. The mix goes into a cutter and comes out in chunks that are ready for packaging. You might be wondering where all the veggies are. Well, some companies don’t use veggies for their canned foods. Others use them, and they add them to the gravy before cooking. The type of veggies used differs from one manufacturer to another. Even though it looks better than the kibble, the generic wet food is not really better. As you could see, looks can be deceptive. You might think that you’re feeding your friend meat chunks when in fact you’re feeding him or her reconstructed meat. And the gravy contains a lot of flavors and colorants that might not be entirely healthy. So, if the dry dog food is bad and the wet dog food is just as bad or worse, what are we supposed to feed them? Well, a good solution would be to cook for your dog yourself. 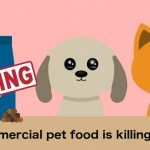 There are a lot of tasty recipes you can cook for your furry friend in a matter of minutes, and you can know for sure that the ingredients you use are healthy. The great thing is, you don’t have to be an experienced cook to prepare something for your dog. Most of these recipes come with easy-to-follow instructions, and they don’t require any special skills to prepare. Moreover, the recipes are varied and they will give your pet the opportunity to explore new tastes. If you know your dog has a sweet tooth, you can prepare a tasty donut. If you know he or she always begs for fish, there are recipes that include it. You can use the website’s search console to find recipes that contain the ingredients your dog loves and prepare a healthy meal he or she will definitely appreciate!